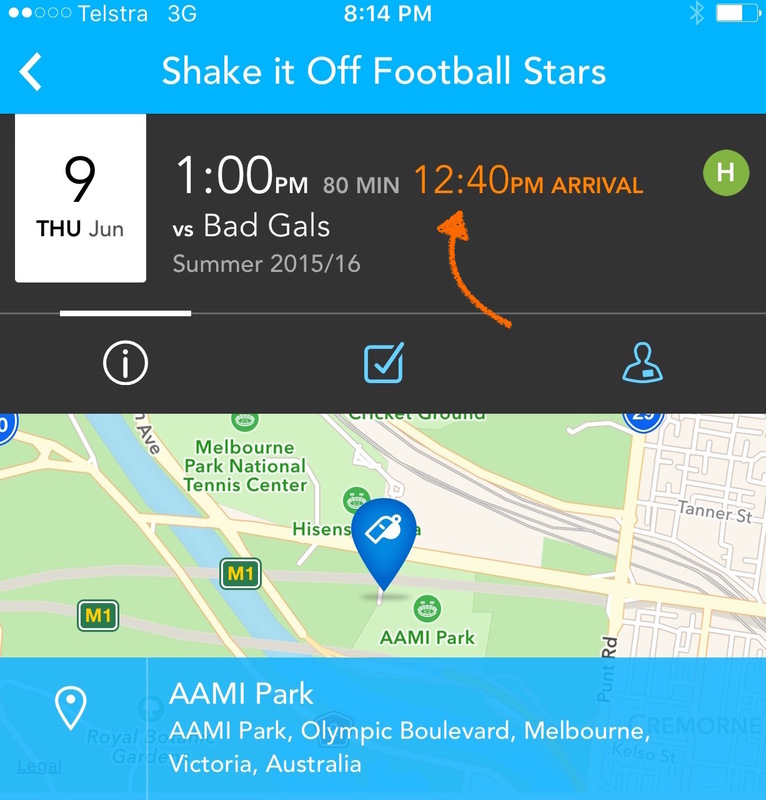 How can I set an arrival time prior to the game start time? 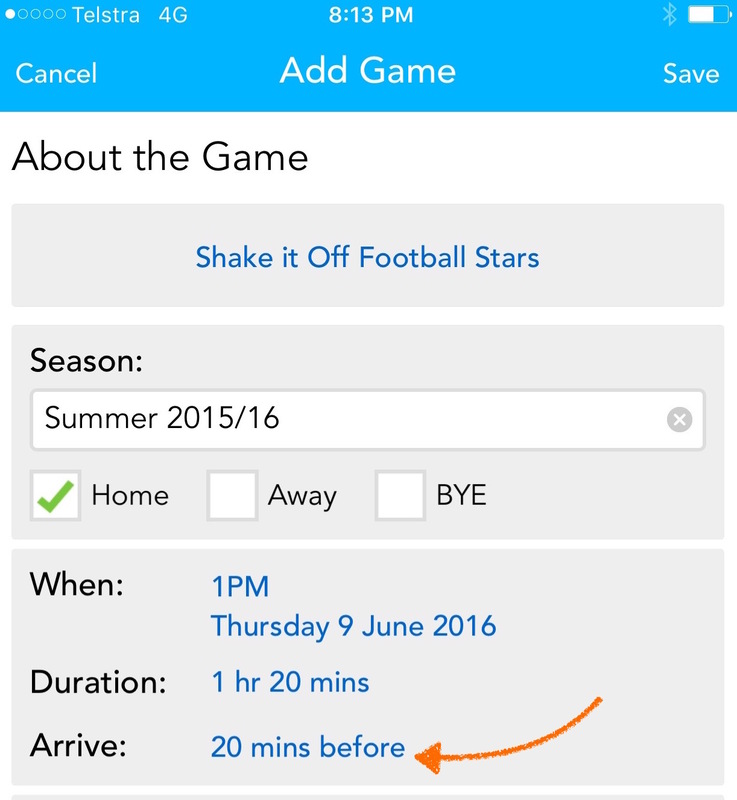 Do you have a meet up time - say 'meet 30 minutes before the game' for your team? It's pretty common - lots of teams need some time to warm up / listen to coach / get things ready. Either way, teamstuff has you handled. We call it arrival time, and here's how to set it. You can set it whilst creating a game, or whilst editing an existing one. In these examples, we're editing an existing game. Jump onto your mobile app ( or teamstuff.com ) , and edit the game. As you can see in the image above - just after the Duration we have another field for 'Arrive' and you can set this to various useful values such as '20 minutes before', or 1 hour before. We use a 'relative' time setting here so that should the game change times, the Arrival Time changes with the game change. Save, and you're done. Games with differentiated Arrival times in them display differently, as you'll notice in the example below. ( we show the game time as per normal, as well as the Arrival Time in orange. Pretty hard to miss we think! ). Your team will see this in every email reminder, every alert, game notification and mobile display ; so they'll never be late again!